My entry was selected as a finalist in the Threads Magazine Fancy Fabrics Challenge. Please visit http://www.threadsmagazine.com/item/35158/vote-for-the-winner-of-the-2013-fancy-fabrics-challenge and vote. The garment I entered was a modification of an Alexander McQueen top. Back view. 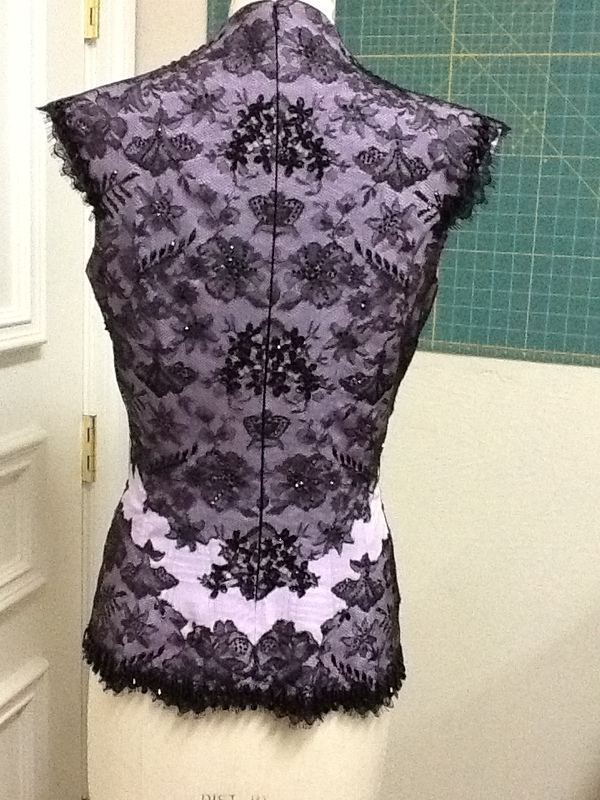 Notice the lace pattern is a mirror image on the right and left sides. 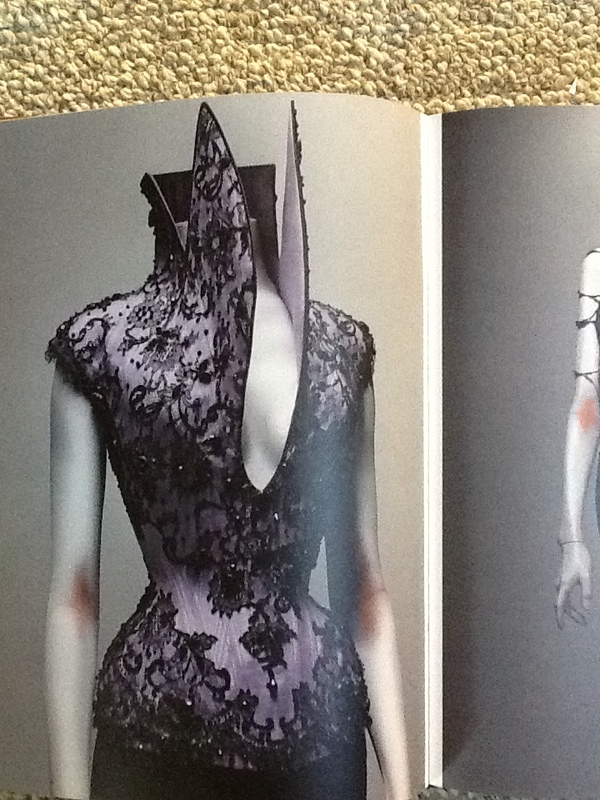 This was a design element in many of Mcqueen’s designs. 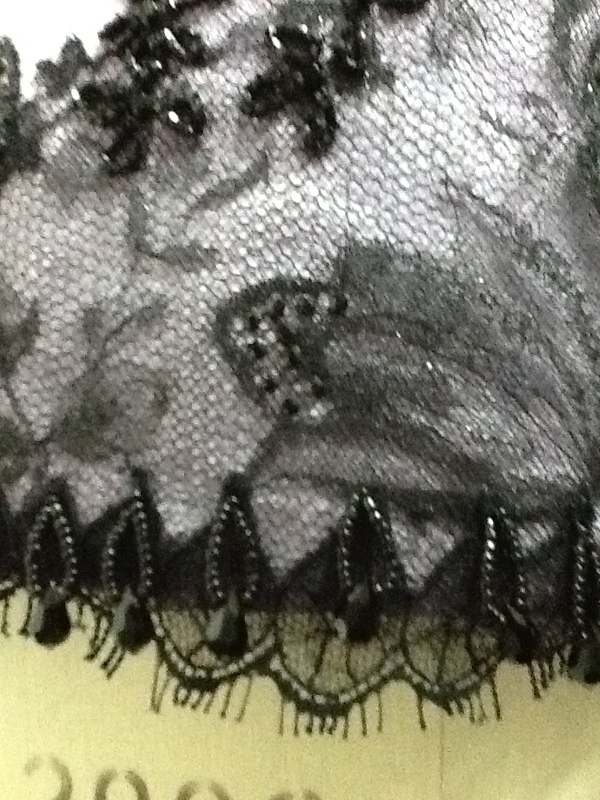 The lace was backed with silk tulle and additional embellishment of crystals on the lace were added. The garment as designed. 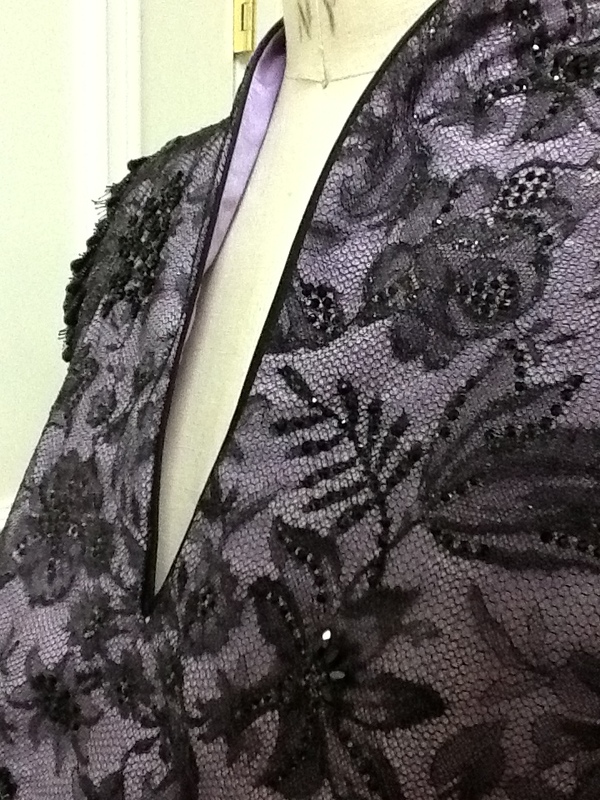 I modified the neckline to be more wearable. I absolutely love this blouse. I’m off to give you a vote! I am so disappointed. The poll closed! Thanks for trying. I noticed the link for voting was somewhat difficult to find. I’m also following your blog. I voted for you. 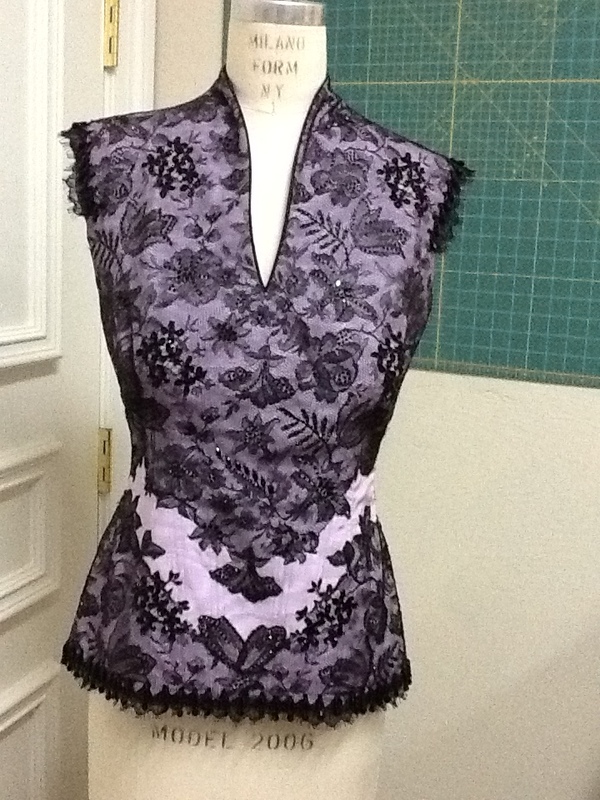 This top is gorgeous and shows off some serious sewing skills. You should have won. The winning dress is very nice, but this top required more skills. Thanks for the vote and recognizing the work that went into this. Factors other than design and sewing skills may have been considered when people voted. I hope you follow me and enjoy the projects I post. Thanks so much for the compliment. I hope you enjoy and continue to follow my blog.